Two weekends ago, I published my first book, Lighting Your Way, With Love. I wrote it on the occasion of having a son leave home to attend university. There was so much I wanted to say to him as his father, who also happens to be a pastor. Over the years, I have collected some thoughts and perspectives about life and faith. So, I took pen to paper (actually fingers to keyboard) and wrote down a few things about God, creation, evil, neighbors, and self. I connected prayers, stories, and scripture. It is meant to be a companion during times of transition. Already, folks are telling me that they found it helpful in their lives. 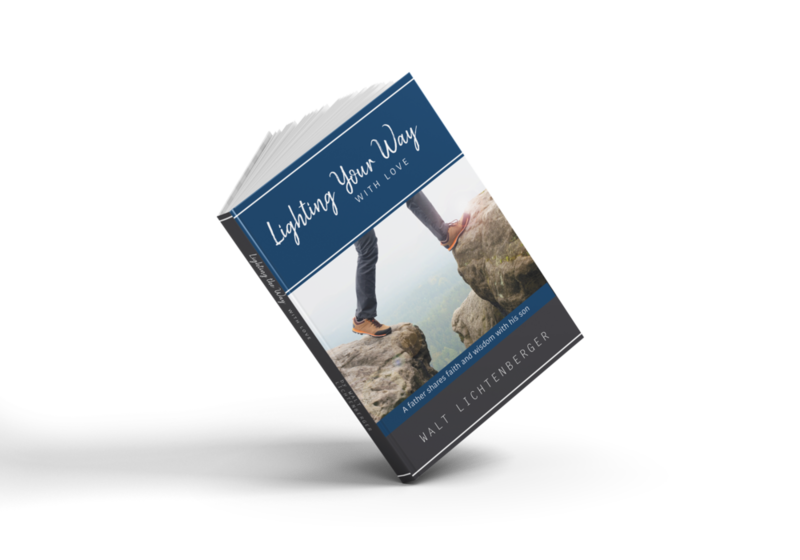 This coming Sunday, March 31, I will be making copies of Lighting Your Way, With Love available for sale between and after worship for $15 (which is a slight discount from what you can buy it on Amazon.) All net proceeds from Sunday's sales will go to support Lutheran Campus Ministry - Twin Cities. I am excited to welcome Connor Fell as a student trained preacher on Sunday. He has worked with Lutheran Homiletician (fancy word for a teacher of preachers), The Rev. Barbara Lundblad to develop his sermon. In the small world department, Connor is a member of the Lutheran Church that I served when I was in New Jersey. I was there on the day of and participated in his baptism! Connor is an excellent example of the way that LCM engages and supports the faith life of students at the University of Minnesota. Lutheran Campus Ministry seeks to provide a space for students to ask questions, struggle with issues, and receive the comforting message of God's abiding presence. It is sacramental - connecting students with Jesus through table fellowship. St. James Lutheran is making a gift to support the Lutheran Campus Ministry from our endowment fund. So I hope that you can come to worship on Sunday (either 8 or 9:30). As always, I look forward to seeing you there. p.s. As I have written Lighting Your Way, With Love outside the regular course of my ministry at St. James, it is not my intention to sell or promote the book at church. Sunday is the only opportunity to buy it at St. James this Spring. Of course, folks can always get copies through my website, Lightfromthishill.com or on Amazon. Thanks.